The Pokémon Company International has revealed Melmetal, which has seen Meltan become the first Mythical Pokémon with the ability to evolve. In ancient times, Melmetal was worshipped for its power to create metal and this is the first time that it has been seen in 3,000 years. “When Meltan evolves into Melmetal, it grows vastly stronger than before. Its body hardens as a result of its Evolution, and it becomes incredibly sturdy,” The Pokémon Company International explains. 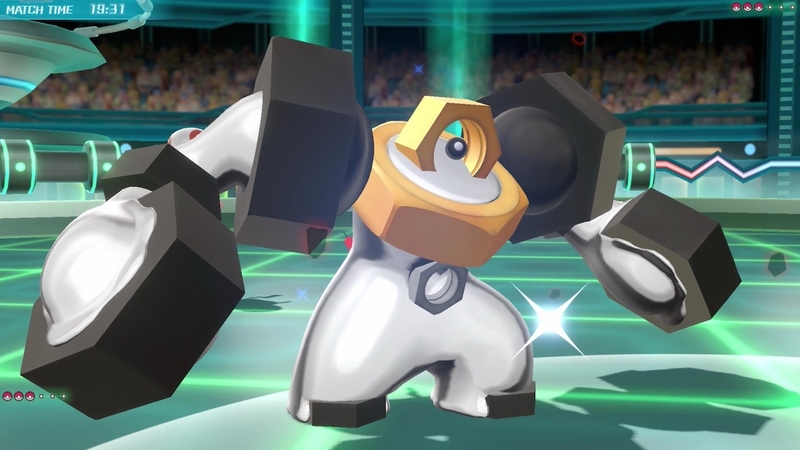 Melmetal has a unique Steel-type physical move called Double Iron Bash, that sees it use the hex nut in its chest like an axle to spin its powerful arms around. That deals a double strike to its opponent, and may even make the target flinch. The catch is that Meltan can only evolve into Melmetal in Pokémon GO, where you will need 400 Meltan Candies. These can be collected by catching Meltan, sending it to Professor Willow or travelling with Meltan as your Buddy Pokémon. You will also get Meltan Candies when you send Meltan from Pokémon GO to Pokémon Let’s Go, Pikachu! or Pokémon Let’s Go, Eevee!, and by trading with friends or using Rare Candies.